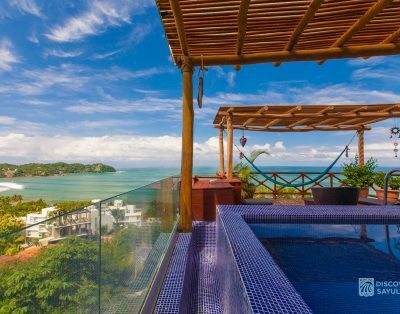 Penthouse 802 has a spectacular panoramic view of the entire bay and a private pool. 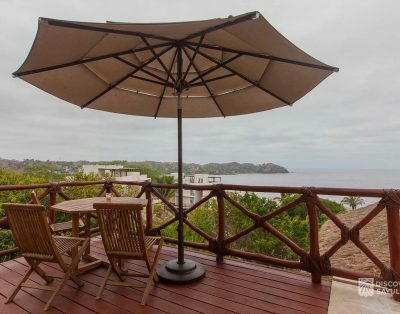 1,900 square feet total, 2.5 bedrooms and an expansive outdoor balcony with sunchairs, outdoor dining, pool, and incredible views of the ocean. 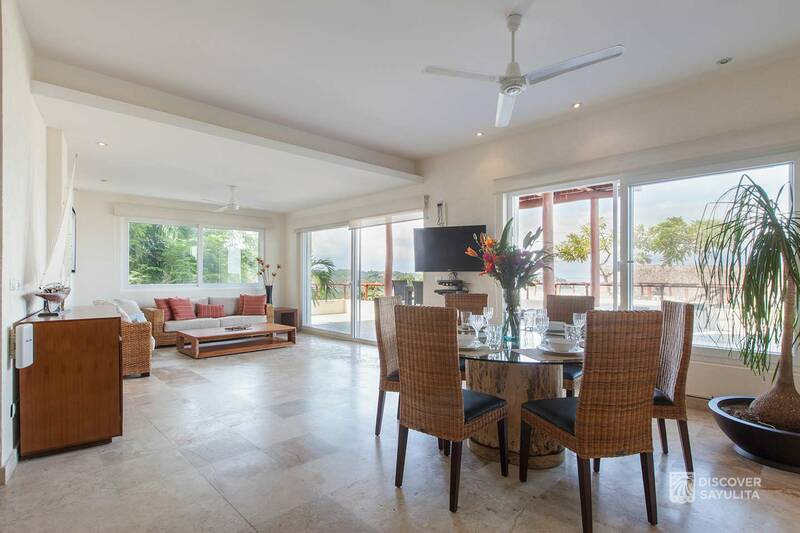 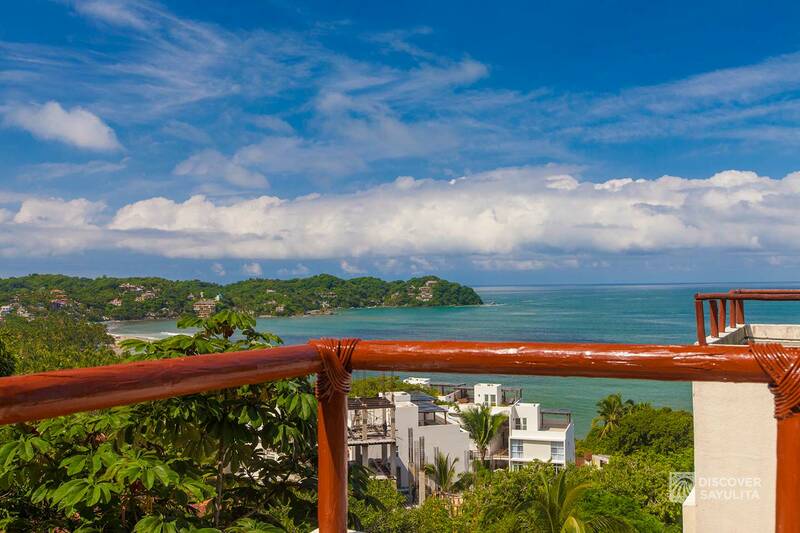 Penthouse 802 is a luxury condo which boasts a full kitchen, complete with top-of-the-line stainless steel appliances, marble countertops, a spacious living area, and an expansive outdoor patio with a breathtaking view of the Sayulita bay, ocean and sunsets. 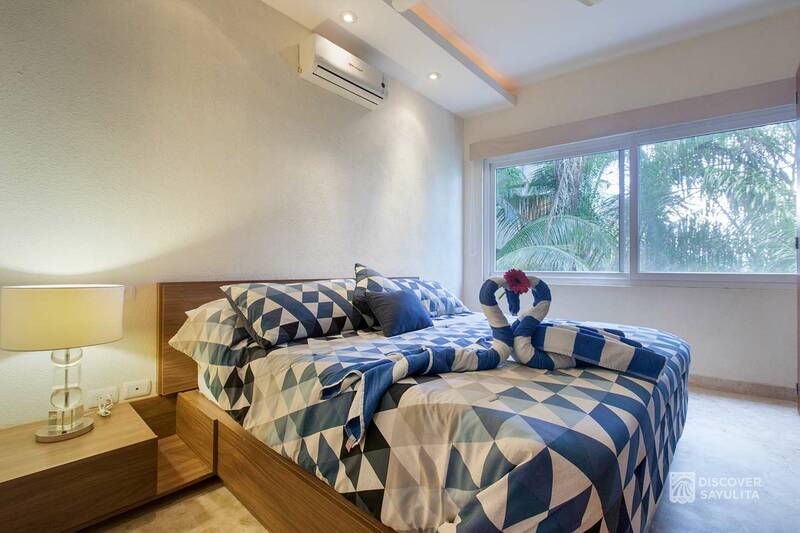 The master bedroom boasts a king size bed with adjacent bathroom, double sinks, marble shower with tempered glass doors and ample closet space. 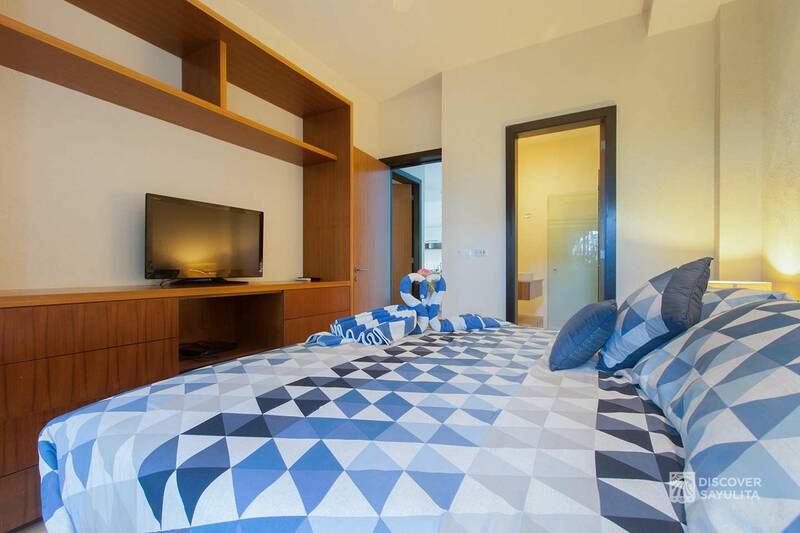 The second bedroom offers guests two full-sized beds and ensuite bathroom. 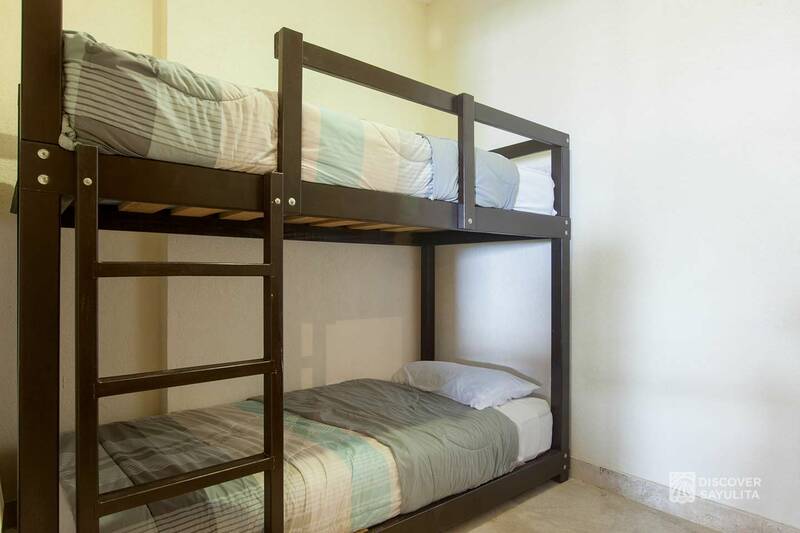 There is a 3rd small bedroom with bunk beds for children. 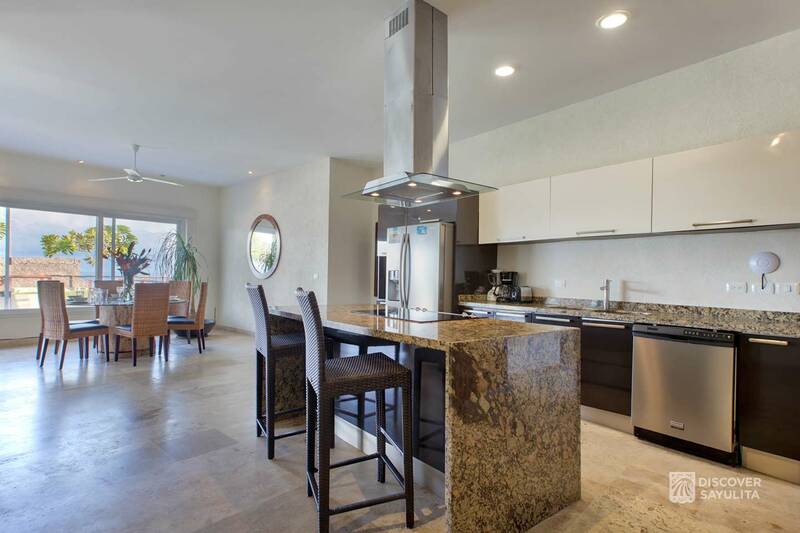 The decor throughout Penthouse 802 is fresh and modern with comfortable seating, a flat-screen TV with DVD player in the living area and master suite, and new kitchen appliances. 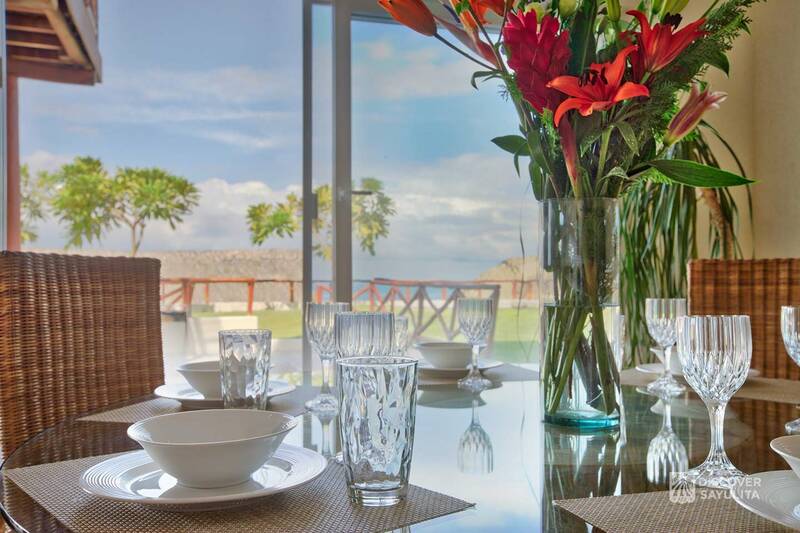 You will find everything you need within for your vacation, with the peace an exclusive atmosphere. 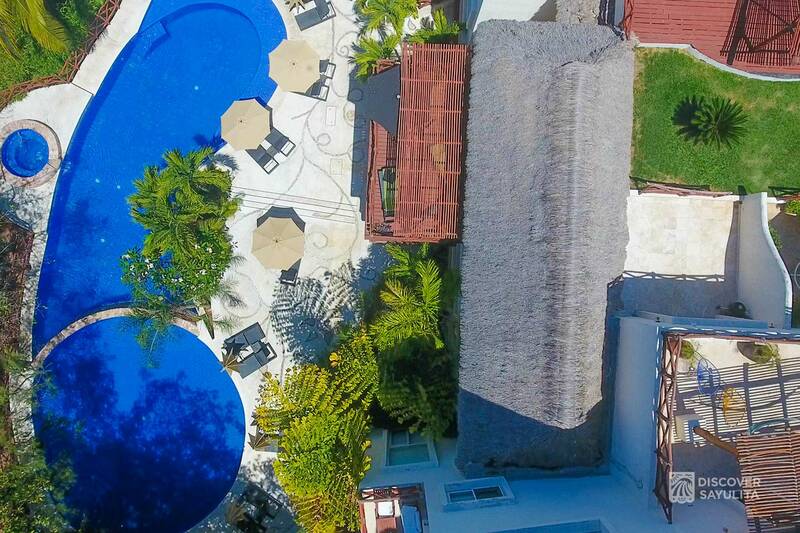 Enjoy the large, uniquely designed pool downstairs, views from the green roof and tropical gardens. 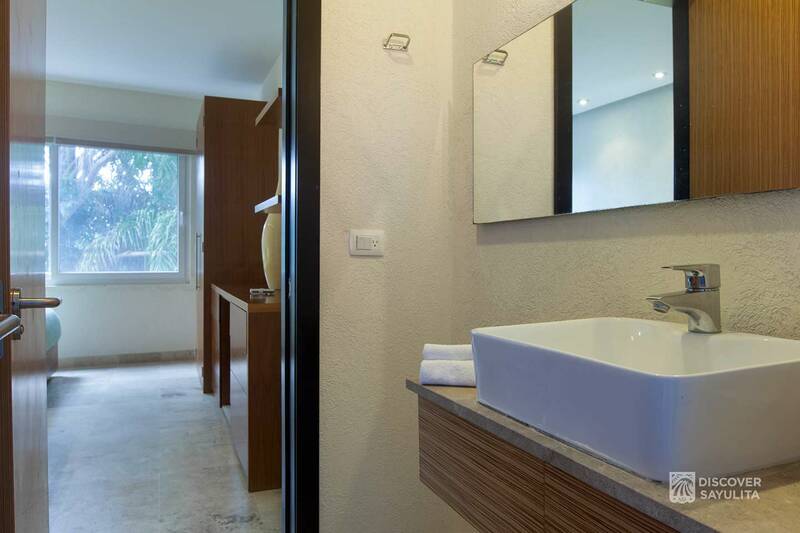 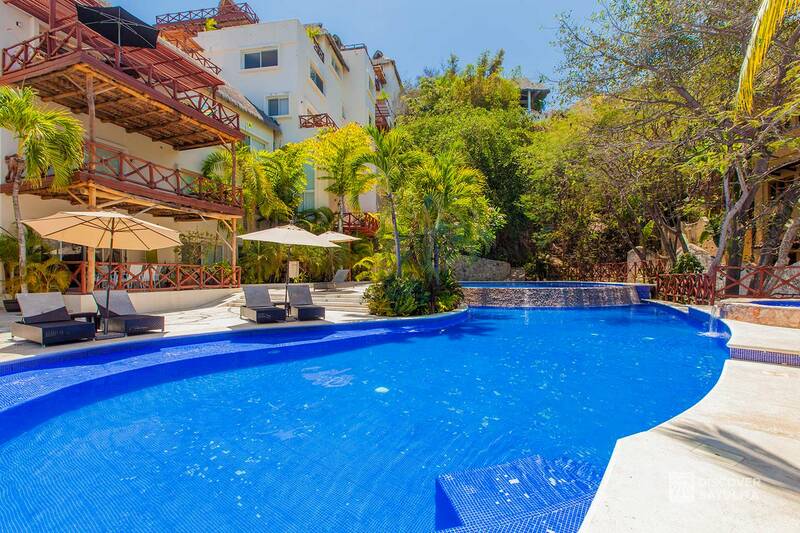 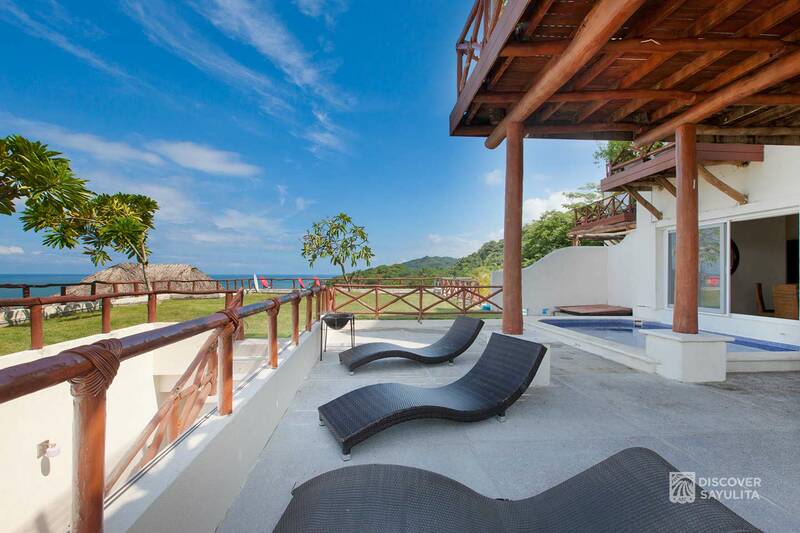 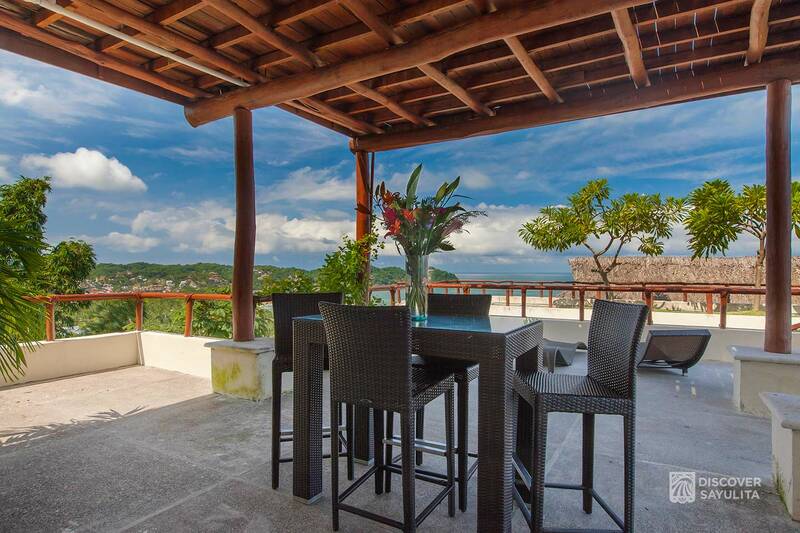 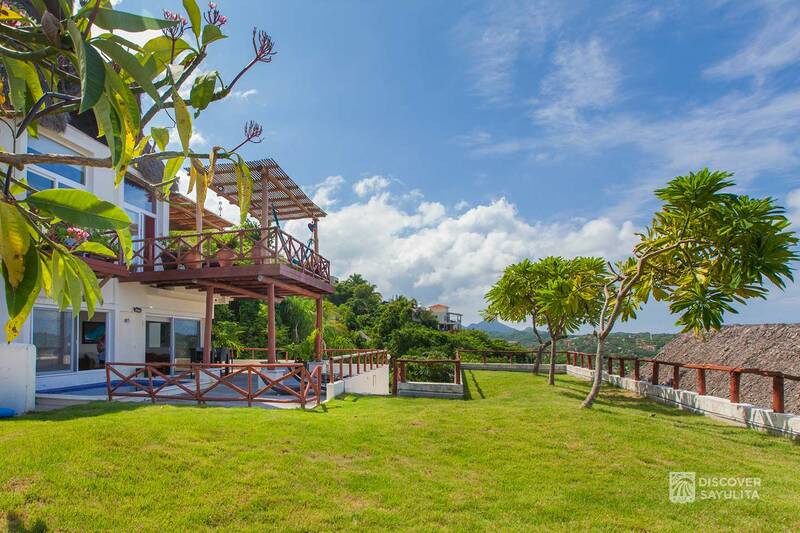 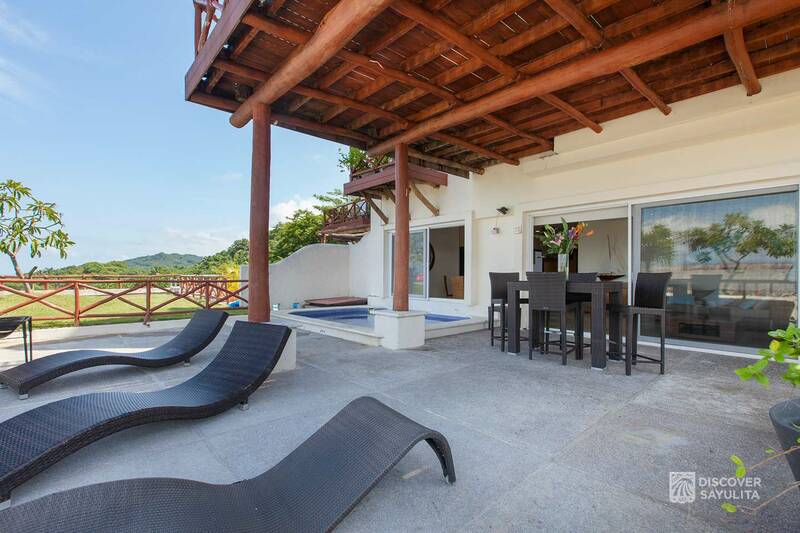 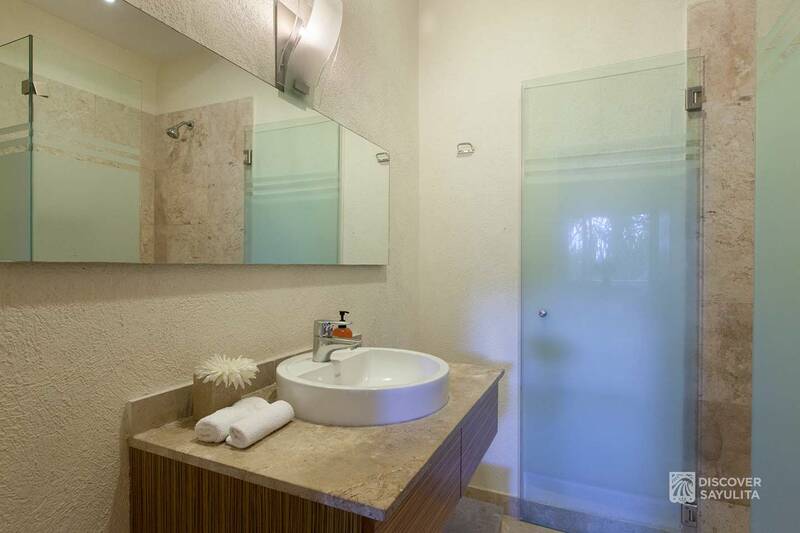 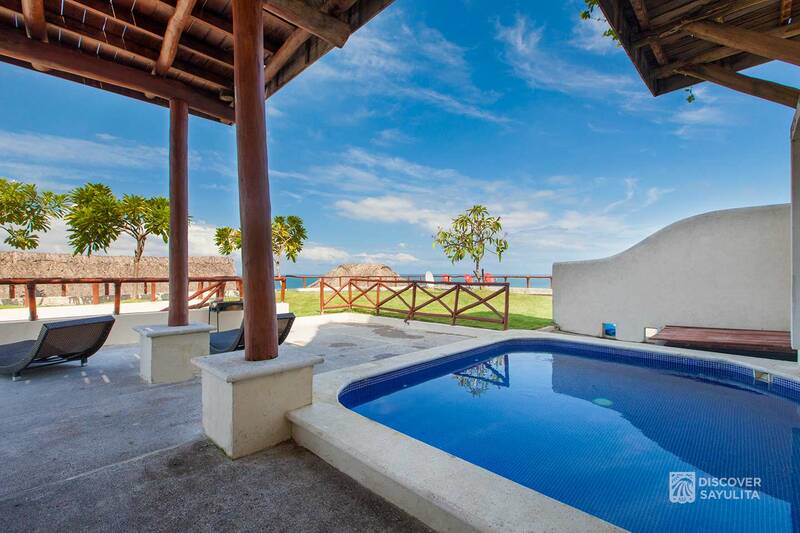 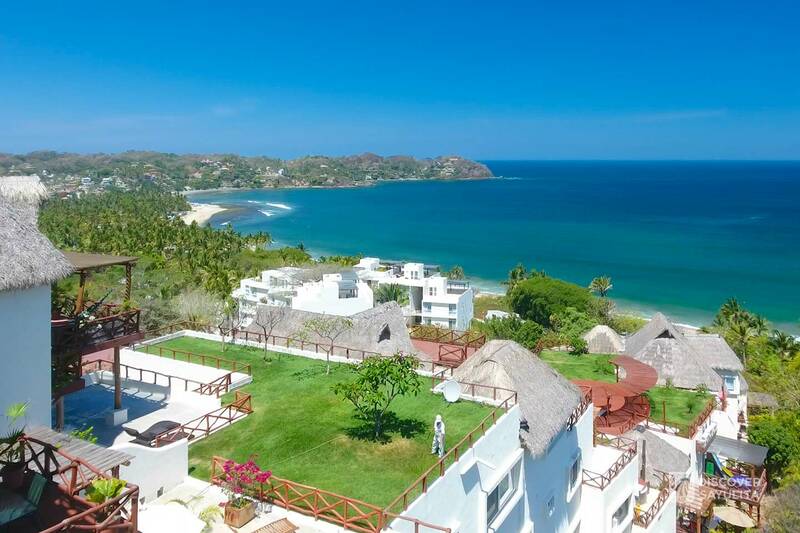 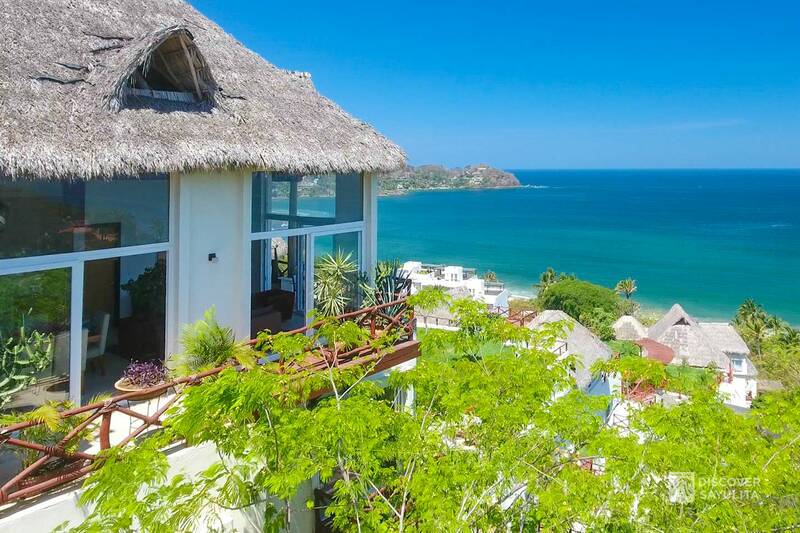 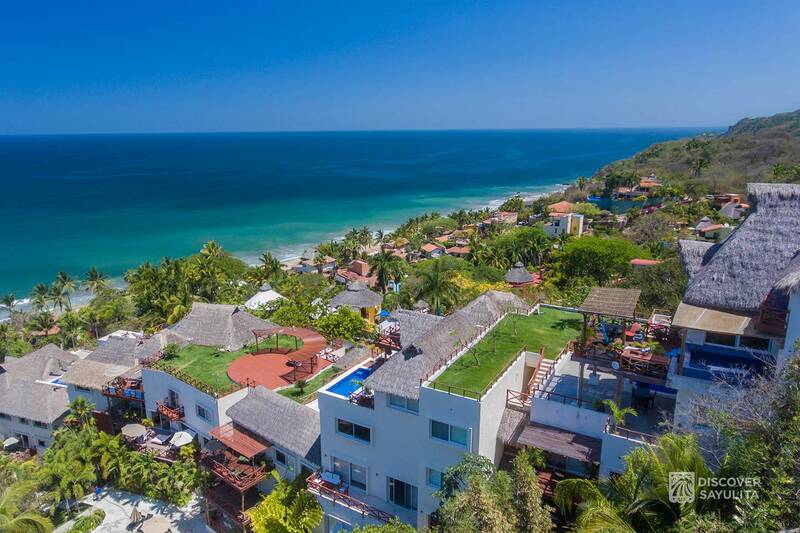 This luxury condo is perfect for couples or families seeking rest and relaxation on the quiet north-end of Sayulita. 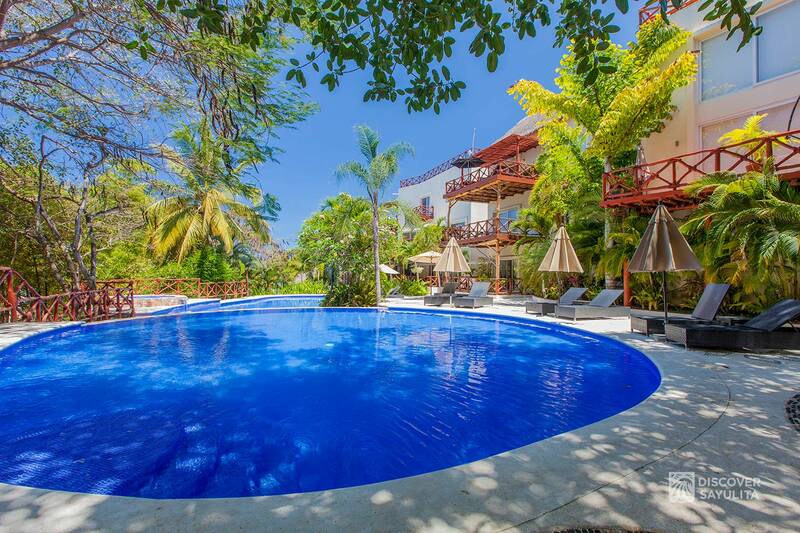 Infinity pools, tropical gardens, roof gardens, secure garage parking, on-site staff and 24-hour security. 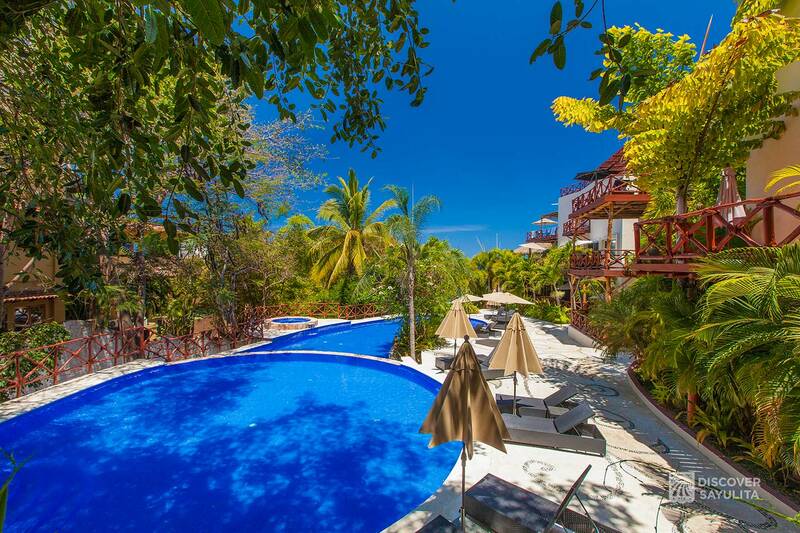 I am available online for any questions daily. 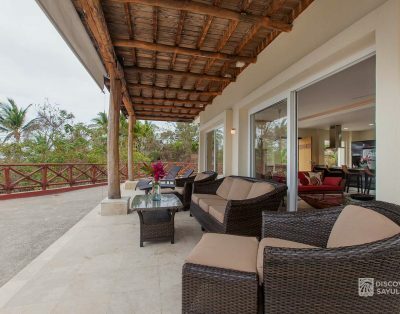 My husband Armando and assistant Mauricio are on-site with anything that you need. 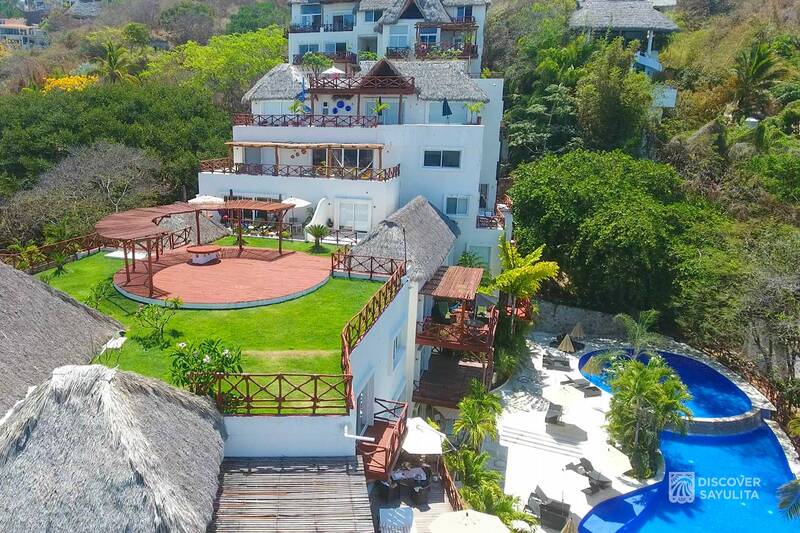 We can organize your taxi from the airport, in-room massage and other services, and recommend the best activities and restaurants in town. 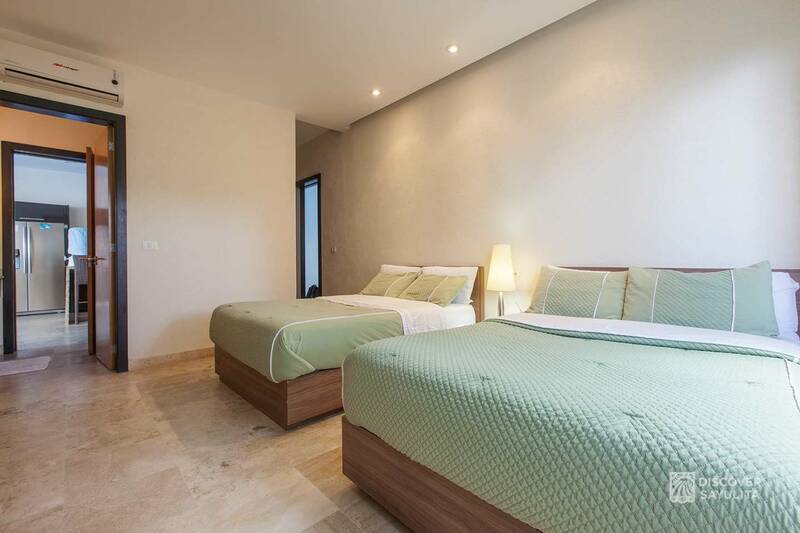 Penthouse 802 is on an upper floor and guests must be mobile and able to climb stairs to reach the unit. 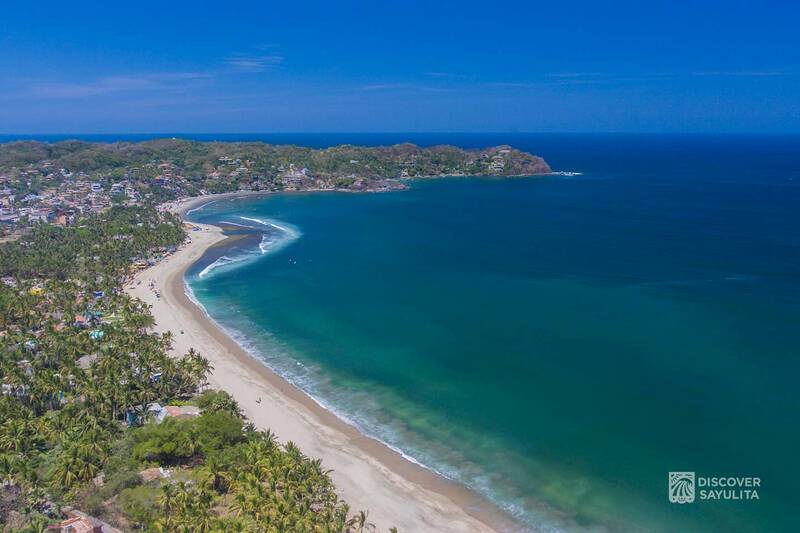 The view is incredible and worth the hike! 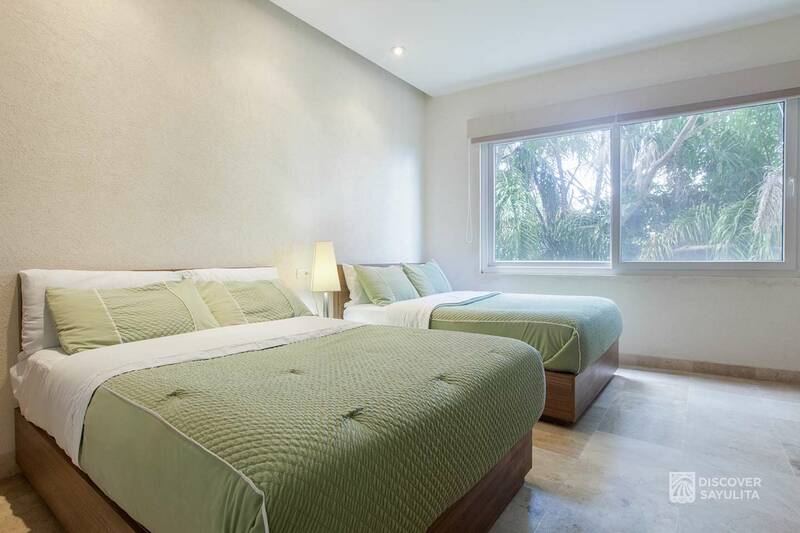 You may also rent a 4 wheel drive vehicle to park up top right next to the unit.